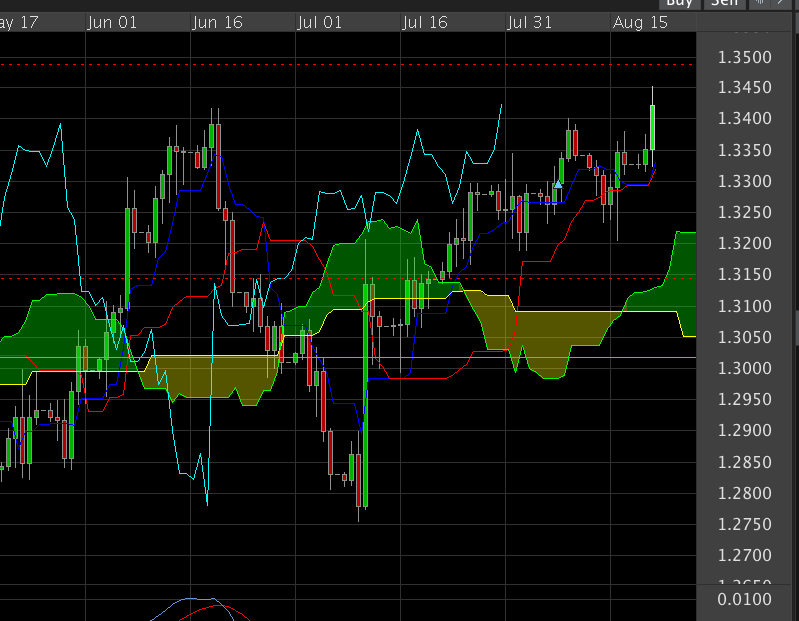 There is a strong resistance at near 1.3400. At this moment, it could be a good time to short. This is an update from the long position I made a few days ago. 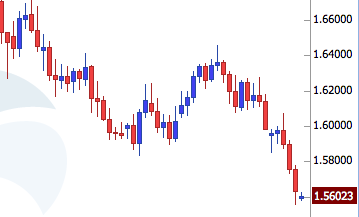 The trade is now running at +120 pips profit. The condition is still valid so I’m sticking with the long position. This is an experimental trade and posting this for educational purposes only. The idea behind the trade is a contrarian position. Another position I entered using the same strategy last week is this. The strategy is proving to be profitable with +110 pips already made in this pair. Of course, it needs a little more polishing but I think it is proving to be promising. Its easier to implement as well so when I get started with automated trading. 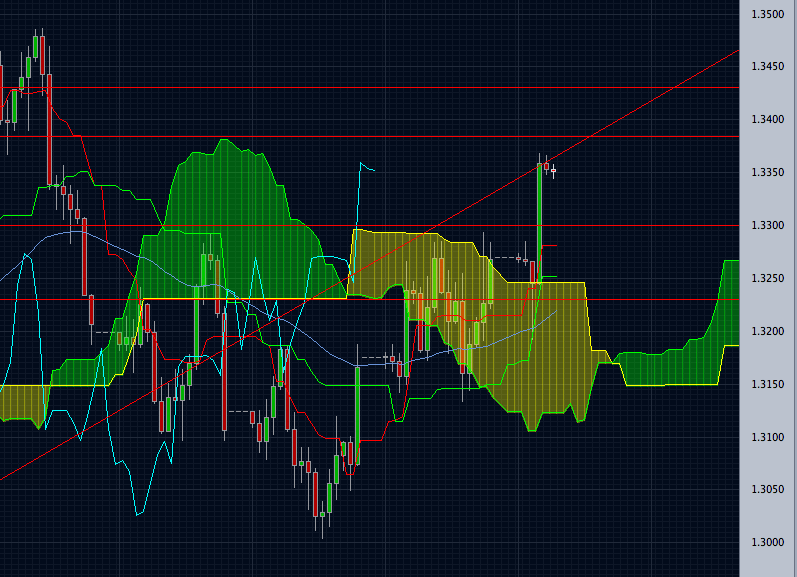 In total we have +230 pips a very promising experiment! And we are profiting 2 out of 2 trades. That’s 100% accuracy. Of course its too early to tell. But I’m very excited with this new system. Its easy and profitable. Week 4: Sept 26 – 30 Lessen Risk – Welcome Back – I Was Hacked! 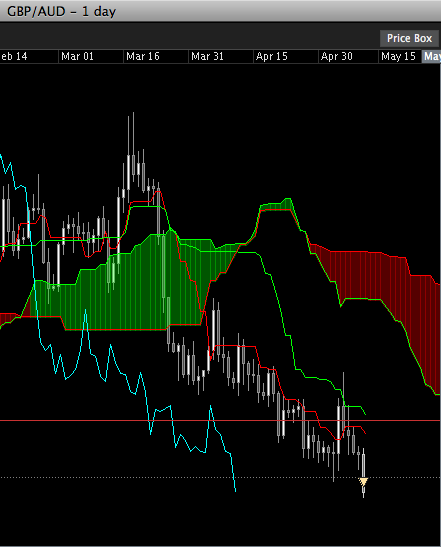 Last week has been good forex trading not so good on local markets and stock market though. But that’s a different story. Kind of practiced patience not only in trading but in general as well. You see, last week, this site was hacked. And I thought that was a good opportunity to test patience as I never panicked and just calmed myself that everything is alright. Now looking back at it, it felt pretty good. Friday, I got a chance to enter a trade that I thought was a good time. 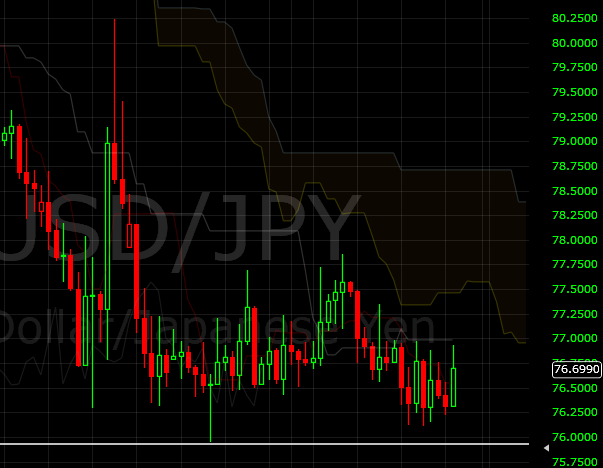 Its in GBPJPY and USDJPY and I will review them today. Its a good buying opportunity. 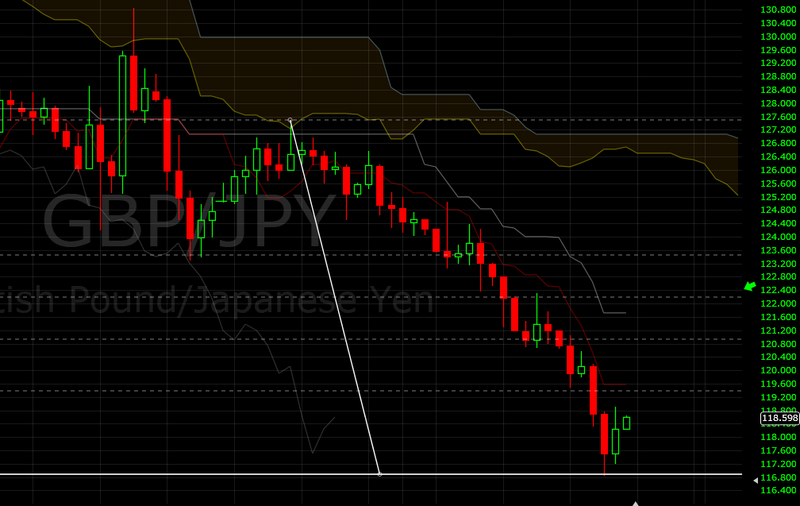 It seems like the trend has ended for GBPJPY but don’t be so sure. Even if it is not the end of the trend, it is still a small risk to take with great rewards. 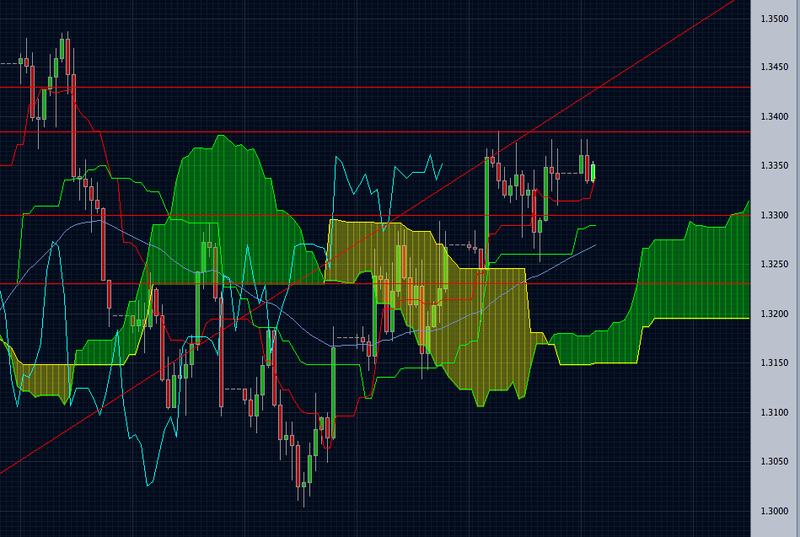 We should expect the price to go up to 50% fib entrancement. If it doesn’t break the high of Thursday, we can call this trade invalid. Nevertheless, I’m in this trade and the risk – reward ratio is good so I’m sticking with it. Weekly is on a downtrend and Monthly has just reach a support. This week will be crucial in ending this month’s price. Seems to me that it already hit rock bottom. So I’m taking LONG trades from now on. Remember to use stop losses so you can lessen risk. 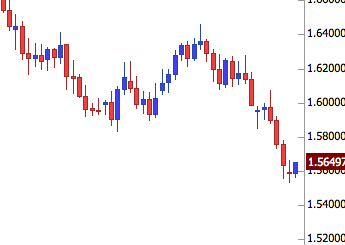 A textbook candlestick pattern spotted on AUD/CAD. A perfect opportunity would be to wait for the next candle if its a bull candle then its a valid signal. If not, then its false alarm. Risk takers can enter on this pair now on the long side. I’ve never seen a candle stick pattern as light as a day as this one. Here’s an update with my experimental trade. 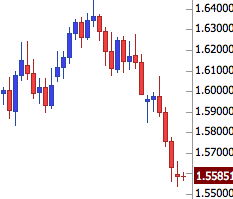 EURUSD as of this moment has 2 positions. 1st has 321 pips and 2nd position has 221 pips. Looking good for my experimental trading strategy. Total profit of 542 pips. This is the update from my post yesterday. 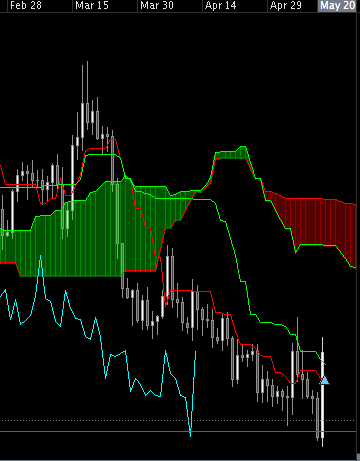 Around 561 pips so far for this trade. I’m going to start a series of trading journal as to convert this blog into a personal forex trading diary. Comment: Trade is according to plan. And entry conditions are met. After breaking the support, it immediately bounced back and creating a really good reversal candle, Engulfing Reversal Pattern). This trade went against me. A VERY LARGE bullish candle went ballistic and got stopped out. I immediately changed position into long. I was surprised by the news when it was revealed that the US Government will be shutting down. This could be a great opportunity if you’re that kind of trader. How can we make money with this news? The answer is… You don’t trade. This site has been created for the sole purpose of teaching myself how to trade forex. By documenting it, I realized that people have also been able to make something out of it and help them get started. During the years I have been trading, there’s always 1 rule that I always remember when I hear news like this. Follow your trading plan. Your trading plan has a purpose. You created that plan. If a news comes out, and you abandon it, you’re into a world of trouble. Part of trading forex is the discipline to say NO, no matter how enticing the news might be for you to make a profit. Always remember to never trade the news. If you’re a kind of trader that uses the news, then thats good. More power to you. Why the hell are you on my site by the way? Howdy! Its been a while since I last made a post here. Sorry for all the people who still read this blog. I’ve been busy with life and other things. But forex trading will always be one of those things that I could not give up. I always check the market, once a day. And only take a position unless I’m very sure that the trade will have a high probability of success. Do I trade as frequently as I used to? No. But I still trade when I think there is a high chance to profit. I think I’m growing into more of an investor in this regard, rather than a trader. Because I don’t want to watch over trades everyday once I made a position. As I grow as a trader, I realize that respect for the market is more important than any other skill. When I respected the market, I don’t go for trades that are “pwede na” (just about right) to my criteria for entry. It should be exactly as I want it. I guess respect and discipline comes hand in hand. 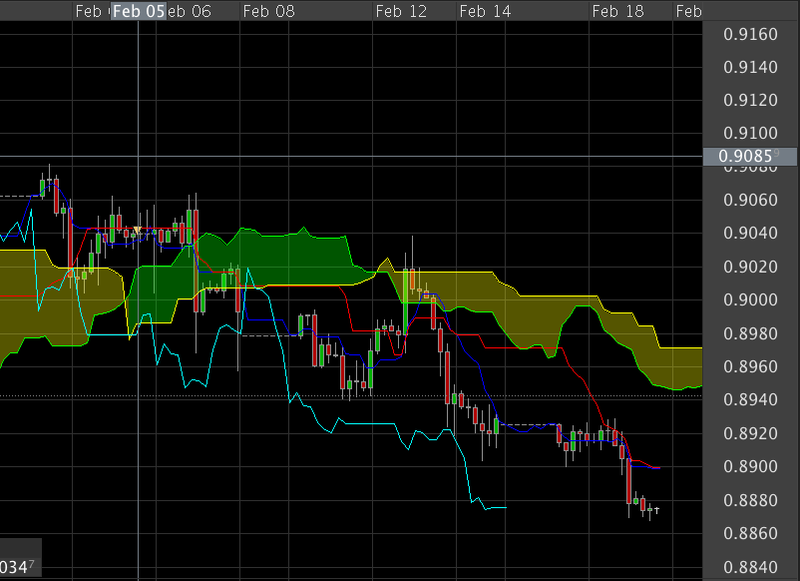 I made this trade last Feb 5, 2014, Shorting USDCHF. 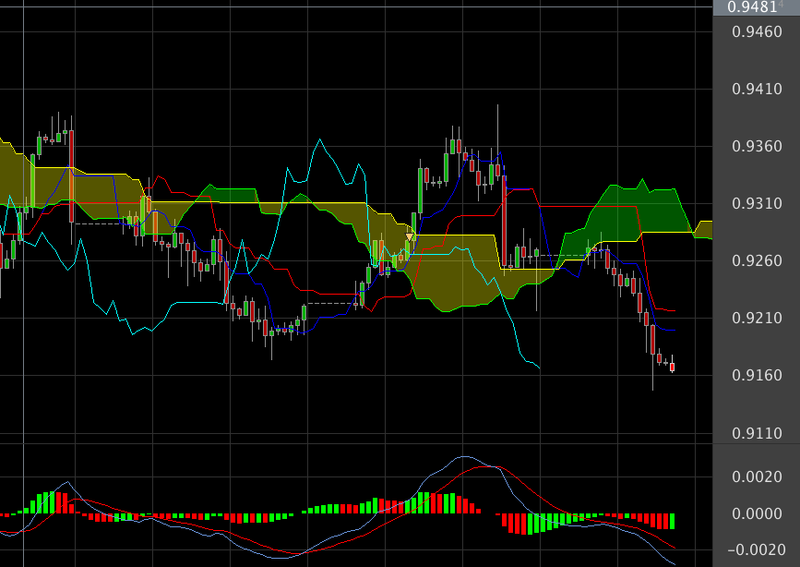 a 4 hour chart using Ichimoku. And its been going along just fine… I still don’t see any warning signs that the trend is going to reverse, so I’m still holding unto it. Large bars are quite a fascinating sight especially if you’re riding it. And it can also be a fishy one. I always think of it with a grain of salt and always think that nothing lasts forever. 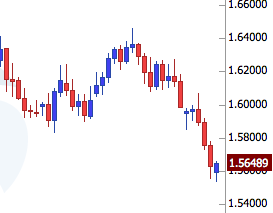 Having said that, the large bar on EURUSD that formed on the 8 hour chart seems to be a bluff and it will now go down.